Over at Mother Jones Tasneem Raja and Chris Mooney have a rather alarming article up, How Many People Aren’t Vaccinating Their Kids in Your State? This is no joke. I’ve talked earlier about the fact that during my wife’s pregnancy we were confronted by rather strong anti-vaccination sentiments within the community. Because of our generally scientific bent it had no effect on us, but we saw how persuaded, or persuadable, many of our friends and acquaintances were. Without a scientific background people often rely on authorities, and those authorities can lead them astray. One issue that has come up on occasion is the political orientation of the anti-vaccination movement. Many have assumed that it has a Left-liberal bias. I’m actually moderately skeptical of a strong political association (e.g., Michele Bachmann). But the map above suggested to me that we should test the proposition that there’s at least a state level correlation between exemptions and vote for Obama in 2012. The data was easy to get. 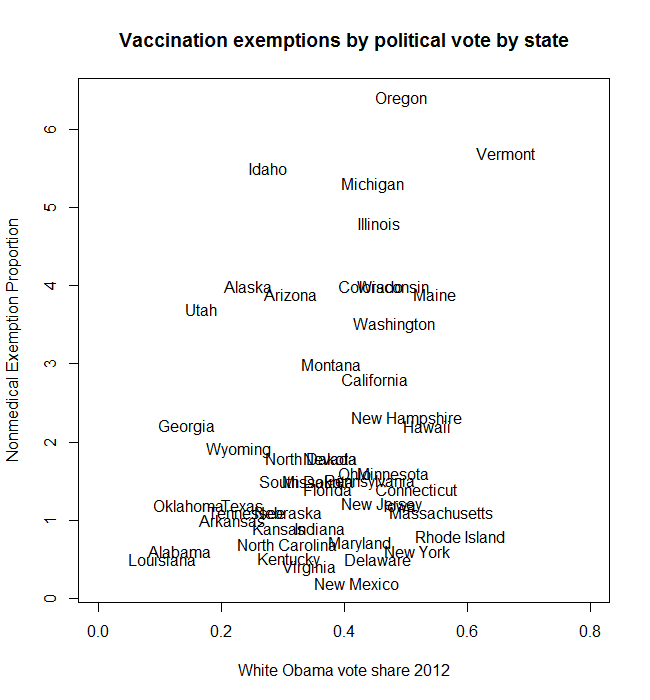 The raw Obama vote % and vaccination exemptions correlated at 0.08 (p-value 0.59). Pretty much nothing. But, I thought it might be more interesting to look at Obama vote for whites. Here the correlation was 0.25 (p-value 0.09). This is still a modest correlation, but it does suggest a political tinge. But rather than a standard Left-Right axis, I think we’re seeing a “crunchy counter-culture” sentiment. Here’s a scatterplot with state labels for what it’s worth…. 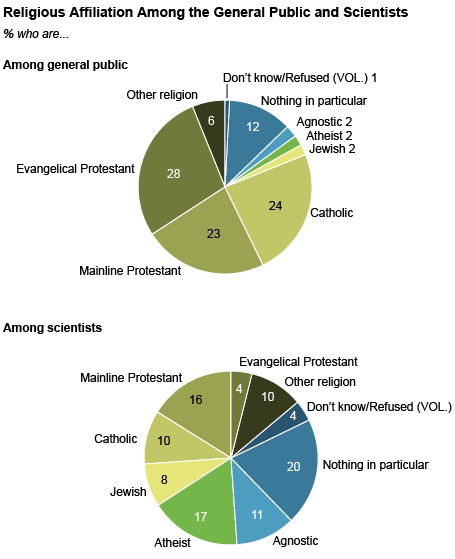 Can a Religious Person be a Good Scientist? 20 Comments to "Anti-Vaccination Sentiment & Liberalism"
Interestingly, I am vaccinated but my mom would probably now be considered anti-vax so something has changed since I was born. Another social cue to be followed. otoh, my vary conservative Christian aunt stunned me with a long pro-alternative medicine speech concerning her daughter’s “fibromyalgia” last time I saw her. I was very surprised, especially since her daughter is/was a Harvard educated doctor. I concluded that they are both intuitive thinkers (mom is a member of the Friends Church, which is basically christianity for lefties) and so are prone to this type of thought. I think that to find a strong correlation between political ideology and the anti-vaccination sentiment it would be necessary to have more localized data. For example, I’ve been told by people who live in Colorado that the locus of the anti-vaccination movement is Boulder, a very liberal and very “hippy” community in Colorado. But those numbers are pretty much swallowed up at the state level. I gather Marin County is another example. re: granularity, yes. if you follow the MoJo link some evidence from california supports this proposition. OTOH, the strongest variable is rural residence. so it seems like underlying correlations are masked. i think the strongest concerted anti-vacc sentiment is among ‘conscious’ counter-cultural Left-liberals. but it does diffuse more broadly across the spectrum through simple anti-elite suspicions, reducing the correlation. Using at Obama share of white vote seems predicated on the assumption that it’s only whites who oppose vaccination. But that assumption suggests that you should compare vote share not to percent exempted, but percent exempted divided by white share of population, or, better, white share of kindergarten. that it’s only whites who oppose vaccination. no. it’s predicated on the suspicion that it’s liberal counter-cultural whites who are *passionately* opposed. white religious conservatives and blacks have various reasons to be suspicious of public health. but they don’t seem particularly organized around this issue, so they seem open to arguments from that motivated segment. or, better, white share of kindergarten. u can find this in the census (i think you can get age 5-6 specifically even without pulling down the raw data). i invite you to do so and run your own analyses. I think you’re right about anti-vaxxing being primarily a “liberal counter-cultural white” thing, but Michigan doesn’t strike me as particularly a hotbed of granola liberalism, and neither does Idaho. 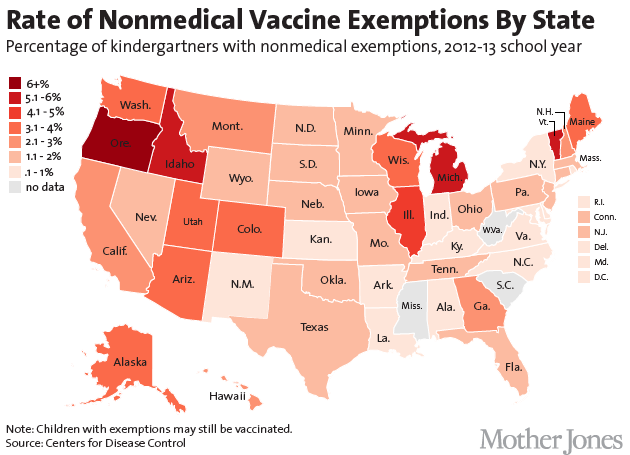 It would be interesting to see a breakdown by race of unvaccinated kindergarteners on a state-by-state basis – is Michigan’s high rate due to whites or blacks getting exemptions? (And if it’s black, why aren’t blacks in Alabama or New York doing the same?) A county-by-county map might also reveal something, if that data is available. This anti-vac movement seems to be more of a younger generation thing, and liberals tend to be younger… so maybe that’s the correlation. I don’t think that liberals are more susceptible to cognitive biases than conservatives… I think both are about equally lame. Hmm, there’s an article about vaccines and omission biases linked in the wiki article above. Thinking out of the box a little, there seems to be a quite strong inverse correlation in the North between the extent to which a state is forested and the vaccination rate. Vaccination rates are very high in highly urban, liberal mid-Atlantic areas (and Nevada) where not many people live in forests, while vaccination rates are low in liberal leaning states where many people live in forested areas like Oregon, Michigan and Vermont. This trend also seems to hold within conservative leaning states. Politically conservative Idaho, where many people live near forests has low vaccination rates, while treeless Texas which is similarly politically conservative at the state level has high vaccination rates. I doubt that this is true cause and effect, but what we may be seeing is a cultural attitude shared by people who migrated from historically forested parts of Europe to similarly historically forested parts of North America that has persisted despite political differentiation over time. The most obvious example of people with common cultural origins who have diverged politically in the U.S. would be the case of Mormons who have strongly New England roots despite the fact that places with high percentages of Mormons are extremely conservative while the New England remains a bastion of liberalism. About 1970 back to the land hippies in OR started getting together with long time country folk and mixing and matching hippie and older diet and health ideas. Adventists, Mormons, chiropractors, naturopaths, New Age cults, etc. 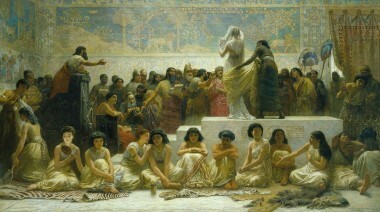 all had diet and health beliefs. Food politics has only gotten more complicated and more intense since then, and has approximated the caste system described by Dumont, where any given individual will only be able to share food with a tiny group of identical-minded people. I’ve been sad to see paleos produce their own version of this silliness. No one is willing to be left out, I guess. It reminds me about the way cultural conservatives adopt cultural liberal victim language when resisting the liberals. 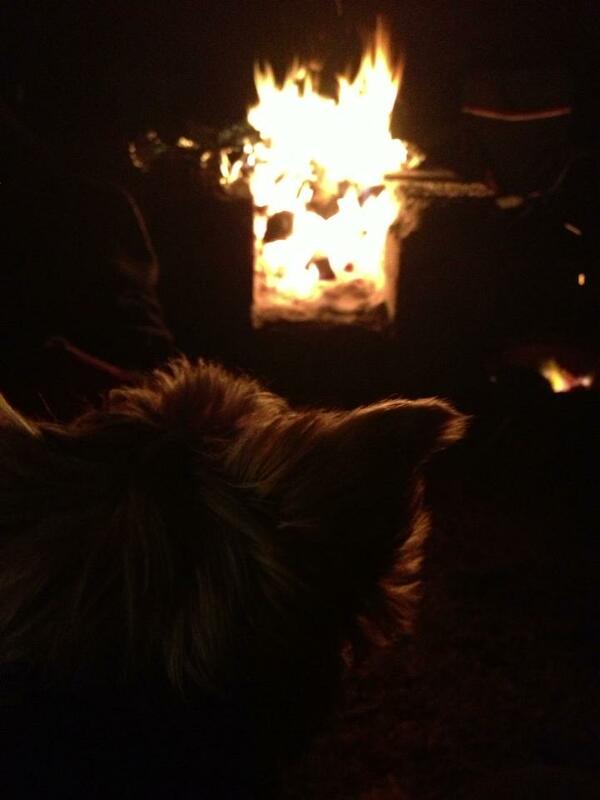 ohwilleke: it sounds like you think the phenomenon is largely localized to treehuggers. Table 2 in the linked article that the press release is publicizing shows details for each state. Excluding Alaska (which is missing the number needed for comparison), Michigan ranks 16 (60% tree cover), Oregon is 26th (41%) and Idaho is 29th (38%); pretty low ranks of tree cover relative to their standing with regard to vaccinations. I strongly suspect that we’d see a strong correlation of anti-vax belief with home birth advocacy based on some exposure I had to the home birth vs hospital birth debate. I searched GSS but came up with nothing on home birth or vax attitudes and so I can’t confirm the impression I formed. From my brief exposure to the home birth issue it seemed that there was a strong liberal, kind of hippy contingent and an equally strong Christian, self-reliant group. Another factor in play, I suspect, is the breast-feeding versus bottle feeding battle and the cosleeping & attachment parenting advocates. The whole Mommy Wars and MommyBlogger universe provides an insight here that I think we’re missing. I wonder if there is a ratchet effect in play – start with concern about home birth, then transition to the breast feeding wars, then move on to attachment parenting, then move on to ant-vax because that’s the path the culture you’ve embedded yourself follows. As Ron White says, you can’t fix stupid. The last anti-vaccine Congressional hearing was called by Tea Party hero Rep. Darrell Issa (R-CA) in Nov., 2012. In 2000-2001, another right-wing congressman, Dan Burton, held five anti-vaccine hearings, at which Andrew Wakefield testified. Wakefield’s fraudulent 1998 Lancet paper kicked off the whole “MMR causes vaccine” nonsense. Anti-vaccine nuttery is a regular feature at Newsmax, Fox News, and Rense.com. Vaccine rejecting parents tend to me white and more educated than the population at large. It’s a big tent movement, drawing in crunchy granola moms, anti-government Tea Party types, religious conservatives, personal injury lawyers, fringe medical providers and opportunistic alt-med quacks. The influence of the quack autism-cure industry on anti-vaccine paranoia should not be ignored, either. Jenny McCarthy’s Generation Rescue, the best funded anti-vaccine group in the country, regularly promotes unproven autism treatments, including bleach enemas, chelation, hyperbaric oxygen, chemical castration drugs and anti-viral drugs. I’m anti-vax mostly because I just don’t trust anything I’m told by “experts” anymore. I used Roundup for years. Now that the data on fertility, endocrine disruption, etc. is coming to light, not so much. I bought Dixie Lee Ray’s push for nuclear power hook, line, and sinker. Now that cancer rates post-Chernobyl have come to light, and all we know about Fukushima is that ongoing mass concealment and deception has occurred, thanks to national governments and “public health agencies,” and Hanford, WA and Oak Ridge TN are the biggest toxic pits in the USA thanks to our very own DOE, I’m not so sure the management of the science was ever all that clear. A recent paper in the British Journal of Medicine says that antibody titers (the only measure used by FDA and vax manufacturers to determine vaccine efficiency) does not correlate well with actual immunity. I’m no immunologist. But I’d wager that if modern medical science had a semblance of a grasp of the workings of the immune system, we wouldn’t have the epidemic of food allergies and auto-immune diseases that we apparently have. Could this mass-occurrence of hyper-immunity be due to adjuvant-laden vaccines, whose intended purpose is to hyper-stimulate the immune system? Recent reports on the 2010(?) Pertussis epidemic do not reflect well on the effectiveness of the vaccine. As I recall, around 2/3 of patients at Kaiser in Marin County, CA, were fully vaccinated. They had all four, at the right ages, yet they still ended up in the hospital. Most of the current cases of measles in CA are apparently people who have recently arrived from the Phillipines…something about the most powerful typhoon ever recorded and no clean water or sanitation. In fact, most of the infectious diseases we’re vaccinated against practically disappeared in the US before vaccines were invented, presumably because of sewer systems and clean water. So when I take my next trip to a third world country where sh%t flows down the streets, I’ll consider what Merck, CDC, and Bill and Melinda have to sell. If vaccine advocates can show me clinical trial data on vaccine effectiveness (not “efficiency” as determined by increased blood antibody titer) for the seasonal flu vaccine using good epidemiological protocol, comparing infection and morbidity, and reporting vaccine adverse effects, maybe I wouldn’t feel like the wool is being pulled over my eyes regarding vaccines as a whole. But no such clinical trial data has been released. What are they hiding? I’d like to see this data mapped (proportion excepted/democratic vote share) in the bottom chart as it changes over time (in the Hans Rosling style). Due to background and education I have friends in both the coastal crunchy and the evangelical Christian communities. Both have their strains of anti-vax and it’s hard to pin down where it will arise. Definitely there is a strong anti-authoritarian angle for both groups and yes, my experience is that white counter-culturals are more vociferous in their belief than the Christians. I avoid arguing the matter, but avoided some distant family members when visiting and area with my children. btw, annectdotally, Illinois’s high numbers is likely mostly due to the Christian influence. There are a couple of large churches in the western suburbs that spread the anti-vax word (and have had outbreaks). Possibly a more relevant (though probably not) and, as it turns out, stronger and more robust state-level correlation (r = .42, p-value = .004) exists between non-medical exemption rates and infant mortality rates. The relationship is, perhaps surprisingly, an inverse one. hat is, the higher the infant mortality rate, the more likely kids in a state are to receive their vaccinations. The lower the infant mortality rate, the more likely parents are to forgo vaccinating their children.